← Water Music Festival with the Miramont Trio – SOLD OUT! 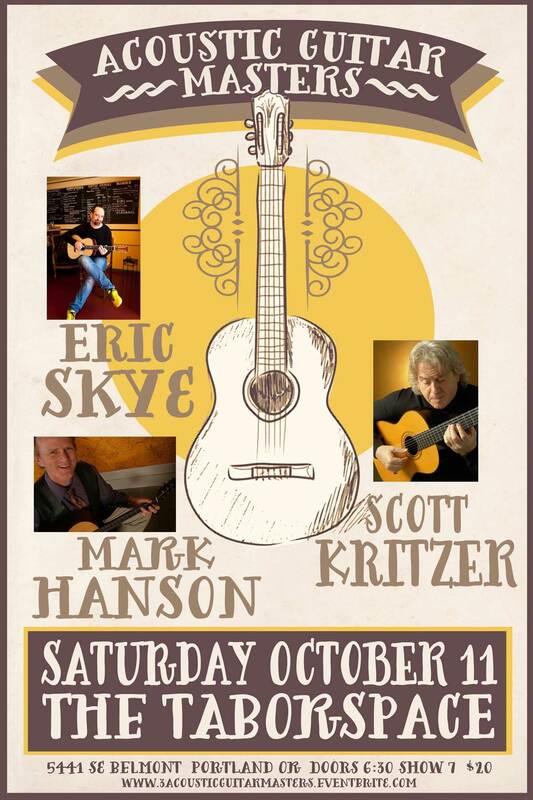 Acoustic Guitar Masters, featuring fingerstyle guitarist Mark Hanson, jazz guitarist Eric Skye, and classical guitarist Scott Kritzer, will be in concert on Saturday, October 11th at Tabor Space located at 5441 SE Belmont Street in Portland, Oregon. The concert begins at 7:00 pm. Tickets are $20 and are available at the door or in advance through Eventbrite. (Advanced tickets are suggested). The guitar is one of the most versatile instruments in communicating across genres of music. The October 11th concert will bring out the best of these styles when these three standouts from the worlds of classical, jazz and fingerstyle perform music from Miles Davis to Villa-Lobos to Americana ballads. Also featured on the program will be a new arrangement of the popular Cuban lullaby – sung by mothers to their children – called the Afro Cuban Lullaby played together by Hanson, Kritzer and Sky. 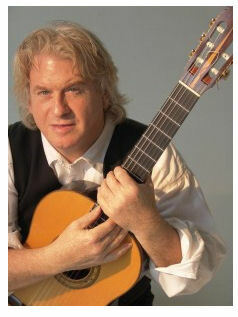 Fingerstyle guitarist and author Mark Hanson won a Grammy in 2005 for his contributions to the “Henry Mancini – Pink Guitar” CD. His graceful approach to the guitar defines smooth and belies the intricacies of his masterful fingerstyle playing. An engaging performer, he has shared the stage with many of the greats, including Tommy Emmanuel, John Renbourn, and the late Jerry Garcia. Mark played for the President of the United States in 2009. 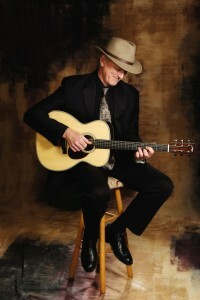 Mark has written over two dozen titles on playing guitar, including the best-selling Art of Contemporary Travis Picking. His numerous recordings continue to play on NPR and Martha Stewart Living, even on American Idol! 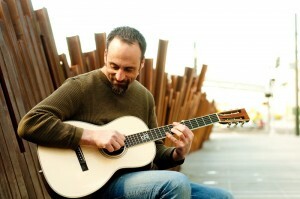 Each summer he runs his own Accent On Music Fingerstyle Guitar Seminar at PSU in downtown Portland, Oregon. Eric Skye occupies a unique niche. Most often billed as a jazz guitarist, this original musician plays in an eclectic style by exploring jazz, americana, and blues. His music speaks with a popping melody over an engaging percussive groove. His most recent recording, A Different Kind Of Blue, was officially acknowledged by the Miles Davis estate and chosen by the magazine Acoustic Guitar as one of the top ten albums of 2012. Eric Skye has also been featured in Guitar Player Magaine and his music has been heard on National Public Radio and Public Radio International. Scott Kritzer displays a consummate commitment to technical excellence and an unparalleled sense of musicality that evokes the lyricism of his teacher’s teacher, Andres Segovia. His appearences have brought him decades of accolades from audiences and critics alike. He has debuted to critical acclaim in London’s Wigmore Hall and New York’s Carnegie Recital Hall and performed in concert halls throughout the United States, Canada, Japan and Europe. In 1996 he was chosen by Senator Mark O. Hatfield to represent the State of Oregon in a performance at the Kennedy Center for the Performing Arts. Scott’s recordings include Classical Guitar Christmas, Romance for Guitar, as well as his recordings with soprano Janet Chvatal: Songs of the Americas and In The Blue Hour. In addition to an active performing career, Scott is a highly sought after instructor. Some of his students have gone on to attend such notable institutions as The Juilliard School, The Royal Conservatory of Music, and his alma mater, The San Francisco Conservatory of Music. His annual Classical Guitar Immersion, held at the Menucha Retreat and Conference Center in Corbett, Oregon, sells out and draws classical guitar aficionados worldwide. Tickets for the Saturday, October 11th performance are $20 and available at the door or in advance through Eventbrite. This entry was posted in Concerts and Events and tagged classical guitar, classical guitar concert, Eric Skye, Mark Hanson, scott kritzer. Bookmark the permalink.